A perfect blend of safari, ecotourism, and urban adventures, this 10-day adventure will introduce you to some of the very best highlights of South Africa. You’ll explore stunning Cape Town, enjoy a luxury coastal ecolodge, and then experience some of the best game drives on the continent at Kruger National Park. You’ll hopefully spot not just Africa’s ‘Big Five’ animal species, but also the ‘Little Five’ (smaller creatures that are critical to the local ecosystem), no end of new bird species, and perhaps even some of the ‘Marine Big Five’. You’ll learn of South Africa’s history, from discovery by Dutch sailors, to Apartheid, to Nelson Mandela, to present day challenges reforming the old townships. Along the way, you’ll experience luxurious accommodations, fine South African wines, fantastic local food, and a slew of optional, add-on adventures as well! Head to the coastline to see if you can spot any of the Marine Big Five. The Big Five: Lion, Leopard, Rhinoceros, Elephant, and Cape Buffalo - there is opportunity to spot each one of them in South Africa. Kruger National Park: Synonymous with the word "safari," this national park needs to be on your Africa bucket list. Cape Town: There's nowhere quite like this singularly beautiful city crowned by the magnificent Table Mountain National Park. Transfer from Cape Town International Airport to your hotel. Southern Sun Waterfront Hotel is found at the entrance to the V&A Waterfront, Cape Town’s premier shopping destination. The hotel’s design is one of inspiring elegance and grace as it stands in all of its glory in the Mother City. The hotel provides an ideal base for exploration into some of the city’s most well-known attractions. For days spent at the hotel, there is an impressive range of facilities that include a restaurant, a bar, a gym and an azure swimming pool. The swimming pool area is a popular spot because of its seclusion and tranquility. Free Wi-Fi. After fueling up on breakfast, meet your guide/driver in the foyer. Take the 765M aerial cableway to the top of iconic Table Mountain (weather permitting). Lion’s Head morning hike (includes a short, ladder climb) with a specialist guide – and light energy snack. Scrumptious local lunch in Cape Town • Shopping in historical Green Market Square, built in 1696. Afternoon/evening at leisure. Boat departure to and tour of Robben Island, where Nelson Mandela was imprisoned for 18 years. Visit Bo Kaap, the site where Dutch sailors first arrived in 1652. Learn about the apartheid-era destruction of District 6, a flourishing community of 60,000 people demolished to be a whites-only neighborhood, with a visit to the District Six Museum. Langa township tour with lunch at a local restaurant. Visit to an empowerment center where locals are taught sustainable life skills. Khayalitshat and Bonteheewel township tours. Return to hotel to freshen up before transfer to the Gold Restaurant for dinner. Transfer with local guide to kayak Cape Point, including penguin and seal viewing. Shuttle to the headland, to cycle through the reserve and learn about the unique fauna and flora of the region – and keep an eye out for zebra, baboons, ostrich, antelope, abundant birdlife, and maybe, if you’re lucky, lynx! Lunch at the scenic tidal pools of Buffels Baai as we try to spot Southern Right Whales (if in season). After lunch, and perhaps a glass of bubbly, stroll the sandy beach, dip your toes into the chilly Atlantic, and snap that perfect new profile pic. Guided hike to the old lighthouse, which is 238M above sea level and was built in 1859. Optional 1-hour guided hike from Cape Point to the Cape of Good Hope. Evening at leisure. Depart Cape Town and transfer to spectacular Devon Valley, the heart of the Stellenbosch region. Bike the scenic back roads of the valley (20km, mostly off-road, but adaptable to suit all riding levels. A ‘languid lunch’, including two wine tastings at award-winning estates and four-course pairing at Clos Malverne, one of the region’s top restaurants. Arrive to a welcome drink upon arrival at Grootbos Private Nature Reserve. Grootbos Private Nature Reserve is set in indigenous fynbos near Hermanus in the Western Cape of South Africa. On the reserve are two exquisite luxury lodges, Forest Lodge and Garden Lodge. They have both been constructed within rare Milkwood and fynbos forests on a scenic mountain slope, with striking views of Walker Bay, the famous whale watching region. What sets this area apart is that it is home to distinct and unique animal, bird and plant species some of which can be found nowhere else in the world. With all the trimmings of five-star indulgences, you will savor the finest cuisine and lodgings and experience tours on foot, horseback or on a 4X4. Horseback riding (for either experienced or inexperienced riders) through the reserve. Guided Walks including fynbos nature tours and Milkwood walks. Nature, marine &amp; coastal drives and walks including the Walker Bay Nature Reserve, De Kelders cliff walk, and famed Klipgat Cave. Seasonal land-based whale watching (especially during July – December). Bird-watching and self-guided walks. Transfer from Grootbos to Cape Town Airport for your flight to Johannesburg. Connecting flight to Kruger Mpumalanga International Airport. On arrival you will be met by your ranger and transferred to the hotel. On the banks of the Sabie River, you will find the Sabi River Sun Resort. It is a magnificent golf resort that is a short distance from the renowned Kruger National Park as well as the Panorama Route. The resort is an activity lover’s paradise and has an 18-hole golf course, three tennis courts, five swimming pools, a bowling green, squash court and a jogging trail. Nature walks are a highlight here and sightings of resident crocodiles and hippos are commonplace. The Hippopotamus Restaurant serves delicious meals and the Waterhole Bar is the perfect setting for socializing. There are kids’ activities and complimentary Wi-Fi. Game drives in world-renowned Kruger National Park. Explore the pristine wilderness with your guide and ensure optimal game viewing with his in-depth knowledge of the African bush. As you search for the Big Five, keep an eye out for the many other smaller creatures that live in this reserve, including over 500 bird and over 100 reptile species. This day is at your leisure, allowing you to enjoy optional adventure excursions (for an additional resort fee), including: Full-day, morning, or afternoon tours of Kruger National park. Two-hour quad-bike ride. Half-day river rafting. Half-day repelling. Skyway trail canopy tour. Graskop Gorge Lift, where an elevator takes you 51M down into the gorge, where wooden walkways and suspension bridges meander along a 600M trail through the indigenous forest. Transfer to Kruger Mpumalanga International Airport. Please plan on arriving early on the day of your trip departure (or, to be safe, at least one day prior to your trip departure). Day one of your itinerary starts at Cape Town International Airport depending on your arrival time. Your trip ends with a drop-off at either the Faro Airport or your Faro hotel. Hiking: Easy to moderate hiking, mostly short and on flat terrain. The Lion’s Head hike is a bit more challenging though and does include a short ladder to climb, then a series of handholds with chains to climb up – but it’s a ‘fairly easy climb’ (and there is another path that avoids the climb altogether). Included: Guided Walks including fynbos nature tours and Milkwood walks. Nature, marine & coastal drives and walks including the Walker Bay Nature Reserve, De Kelders cliff walk, Klipgat Cave combined with seasonal land-based whale watching (whale watching especially during July – December). Bird-watching. Various maps of the reserve and the area for self-guided walks, transfers to/from all activities and conservation levy. For an additional fee: Spa Treatments, whale watching boat trips, boat trips to Dyer Island, Shark Cage Diving, beach horse riding, scenic flights, quad biking, kayaking, wine tours. Options at Sabi River Sun Resort: Golf or various adventure activities, such as: full-day, morning, or afternoon tours of Kruger National park. Two-hour quad-bike ride, half-day river rafting, half-day repelling, or skyway trail canopy tour. 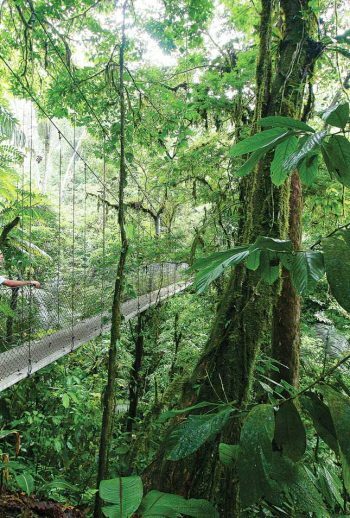 You can also experience Graskop Gorge Lift, where an elevator takes you 51M down into the gorge, where wooden walkways and suspension bridges meander along a 600M trail through the indigenous forest. Search for the Big Five, on game drives in Kruger National Park, keeping an eye out for the many smaller creatures that live there too, including over 500 bird and 100 reptile species. Take in the view of Cape Town from atop Table Mountain. Shop local handicrafts in a market from 1696. Witness the cell that kept Nelson Mandela captive for 18 years. Understand the apartheid-era history of South Africa, how it affected peoples of color and what measures are being taken to rectify the population’s still-evolving economic divides. View penguins and playful seals from a kayak. Enjoy a ‘bike safari’ through a reserve filled with zebra, baboons, ostrich, antelope, abundant birdlife, and even lynx! Hike to the Cape of Good Hope. Bike the vineyards of the Stellenbosch region and, naturally, sample their world-renown local wines. Experience the ‘Little Five’ (smaller creatures that are critical to the local environment) in a nature reserve, then head to the coastline to see if you can spot any of the Marine Big Five.